Categories: Australia, Australia & New Zealand Wines, Clare Valley. Tags: Australia, Clare Valley, Domestic, Red Wine, South Australia, Sparkling Wine, White Wine. Skillogalee was established in 1970 with the first wines released in 1976. The 1978 dry riesling won major trophies at the Adelaide Wine Show and the National Wine Show, putting Skillogalee firmly on the Australian winemaking map. The wines are produced exclusively from grapes grown on their own vineyards and styles include crisp dry whites (riesling, gewürztraminer and chardonnay), a full flavoured rosé, rich, full-bodied reds (shiraz, cabernet sauvignon and blends) and some luscious fortified wines. 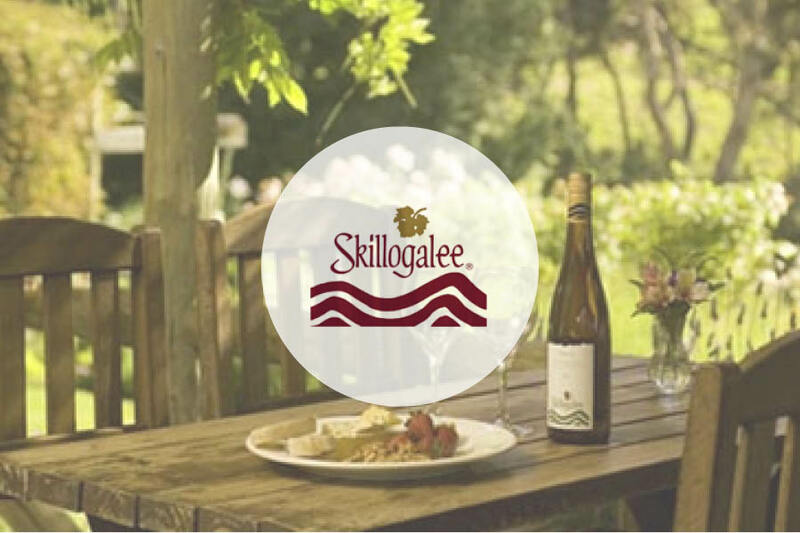 Skillogalee was established in 1970 with the first wines released in 1976. The 1978 dry riesling won major trophies at the Adelaide Wine Show and the National Wine Show, putting Skillogalee firmly on the Australian winemaking map! The wines are produced exclusively from grapes grown on our own vineyards and styles include crisp dry whites (riesling, gewürztraminer and chardonnay), a full flavoured rosé, rich, full-bodied reds (shiraz, cabernet sauvignon and blends) and some luscious fortified wines. The vineyards were planted in the early 1970s on what was then, at almost 500 metres above sea level, one of the highest vineyards in South Australia. The rows are planted on the contour in shallow stony soils mainly on steep eastern facing slopes. The vines are hand-pruned and the fruit is mainly hand-picked. Yields are extremely low but the vineyard produces intense flavours and aromas and deep, richly-coloured reds. Kangaroos are our major pests - significant numbers can be found around vintage time, when the hills are dry and brown, camping in the vineyards and feasting on the ripe fruit! With the same quality issues in mind, we have moved to the use of "stelvin" screw caps on all our table wines to maximise quality and longevity for the consumer. David and Diana Palmer purchased the small hillside stone winery from the George family at the end of the 1980s and have fully capitalised on the exceptional fruit quality of the Skillogalee vineyards. All the wines are generous and full-flavoured, particularly the reds. In 2002 the Palmers purchased next-door neighbour Waninga Vineyards, with 30ha of 30-year-old vines, allowing an increase in production without any change in quality or style. In the early 1840's, the pioneer and explorer John Horrocks settled at Penworththam, named after his home town in England. From here, he explored further north in the Flinders ranges, using Afghan camels and looking for land suitable for settlement. On one such expedition, Horrocks' party was beset by illness, injuries and bad weather. Having run short of provisions, they survived only by making a "skillogalee" or "skilly" - a sort of thin porridge or gruel, probably from grass seeds and water. The word "skillogalee" comes from Celtic origins and the dish was commonly fed to prisoners in Ireland around this time. When Horrcocks finally made it back to Penwortham, he gave the creek nearby the name Skillogalee in memory of this event. The vineyard takes its name from the creek which runs through the eastern, lower end. 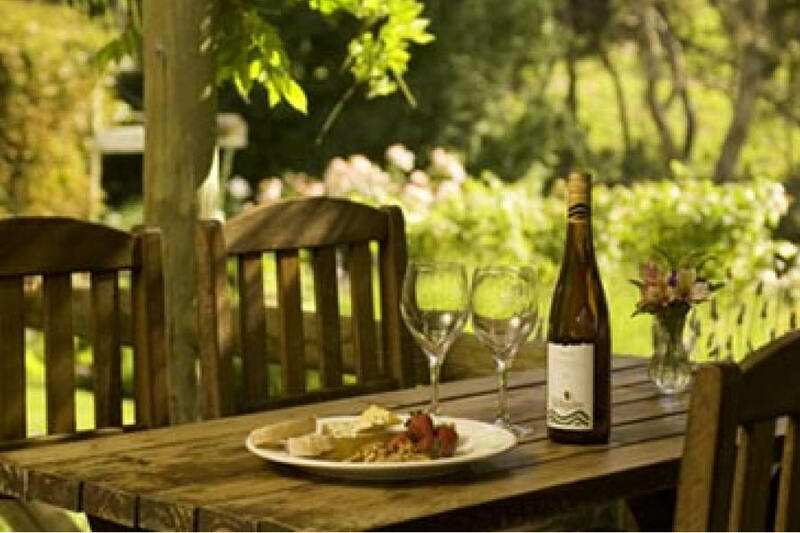 Skillogalee operates a wine tasting and sales area and a restaurant from an old stone cottage built in 1851 by a Cornish miner, John Trestrail, who settled here and operated the property, then called Trevarrick Farm, as a mixed home farm. He and his wife had 17 children of whom 13 survived - he was a religious man who, it is said, did not approve of drinking! The property remained in the Trestrail family until the early 1900's. It was then planted to stone fruit and vines for dried fruit, currants and sultanas. In the 1950's and 60's it became a grazing property until it was bought by Spencer and Margaret George in 1969. It was planted to wine grapes over the next 2 or 3 years - early varieties were Riesling, Shiraz, Grenache and Crouchen (formerly know as Clare Riesling) In the early 1980's, most of the Grenache and all the Crouchen were grafted to Traminer and Cabernet Sauvignon and additional small areas were planted with new Cabernet Sauvignon, Cabernet Franc and Malbec.